We breed the Yorkshire Terrier and the Parti Yorkshire Terrier. We are located in Missouri but we do ship all over the United States. This great breed of dog is suitable for a variety of different environments and homes. These loved puppies are listed on our site when they are ready to go home to a great quality dog breeders. We are located near the Gulf Coast of Mississippi and we breed the Yorkshire Terrier or the Yorkies. The Yorkie is an energetic breed toy sized dog with a full size dog breed attitude. This breed is great to fit into most life styles including apartment living. 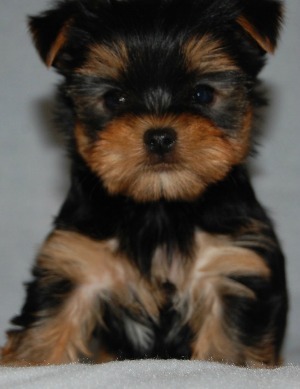 Our Yorkshire Terrier puppies for sale are listed on our site when they are born and ready to purchase. My wife and I are dog breeders and we are located in Kentucky. We are care givers by nature and retired from care giving. 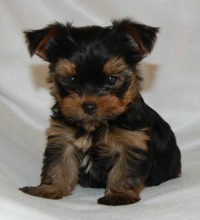 We have taken those skills into dog breeding and we invite you to see our available Yorkshire Terrier puppies for sale. We have updated images on our site on a regular basis so please feel free to visit us from time to time to see these update. My name is Debbie and my husbands name is Craig and we are located in Hartford Arkansas. We breed the Yorkshire Terrier as well as a couple of other breeds and we would love to help you with getting the right puppy picked out for you and your family. We know that the process is can be a little hard but we can help and look forward to visiting with you soon.